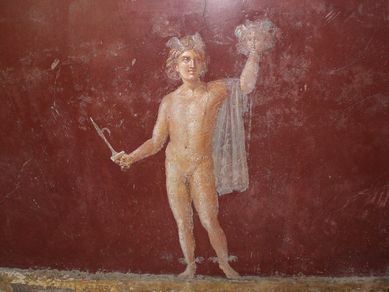 This story is about a young man, Perseus, who tries to impress the guys by taking on the impossible challenge of cutting of the head of a gorgon, Medusa. Click HERE for the intro info and summary. Perseus Slaying Medusa, 1511, Baldassarre Peruzzi, Sala di Galatea, Villa Farnesina, Rome, Italy. 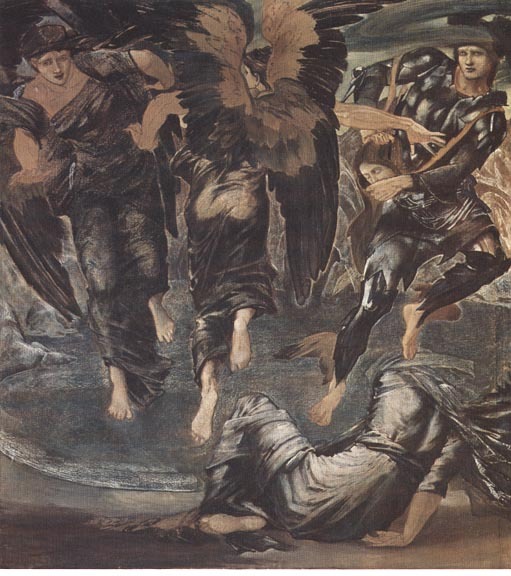 The Death of Medusa, 1875, Edward Burne Jones, Tate Museum, London, England. 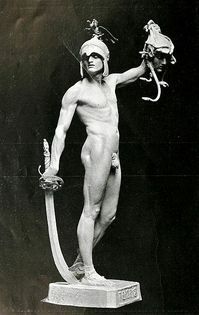 Perseus and the Head of Medusa, 1898, Pomeroy, Frederick William, Victoria and Albert Museum, London, England. This story is about how Thor needs to dress like a woman to get his hammer back. Click HERE for the intro info and summary. This story is about a knight of King Arthur's court, Gawain, who takes up a challenge thrown down by a green headless knight. Click HERE for the intro info and summary. 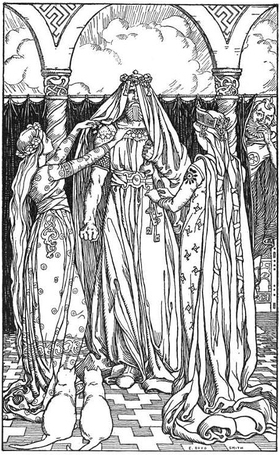 This is a tale of an ancient Geat warrior, Beowulf and his battle against the monster Grendel, Grendel's mom, and a dragon. Click HERE for the intro info and summary. This is the story of a young woman who was born into an interesting family . . . to call it "dysfunctional" is putting it nicely. To make a long story short, her uncle wants to be king so he kills her brothers. 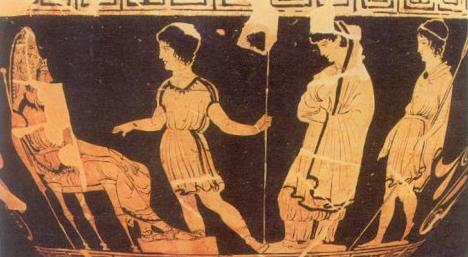 Antigone wants to bury them but her uncle won't let her. It just gets worse from here. To read the rest of the story, click HERE. In groups, you will read the intro AND summary information for your myth using the links above. You will then create a short play that tells the story of your myth. Use the worksheet provided to help you plan. You will have no more than 5 minutes to perform your short play. You may use notecards to help actors remember lines and cues. ALL group members must play an active role in the play.